Did you graduate then start looking for a job? Didn't your program go over this? There are plenty of staffing agencies, you can apply directly to hospitals, use job search engines....literally anything. Search, apply, wait. Most students apply long before graduation so you're kind of behind in the search. By waiting to apply you are extending your period of unemployment (and thus not using/cementing your skills) which frankly may make it even harder to get into EMED at this point. Perhaps you should consider a residency. Arrowhead Regional Medical Center in Colton CA has an EM residency program and the application deadline isn't for another month. With the area and specialty you're considering, might be worth looking into. Being confined to that geographic region might make your search even tougher. I worked for Vituity right out of school in a busy level 2 trauma center in the central valley of CA and had a great experience. If you're willing to be flexible on location for your first job out of school, you will gain great experience and make yourself so much more marketable to the employers in the "desirable" areas of living. I do not agree with this above answer. you did nothing wrong, and this certainly should not make you go consider PA residency (smh). Keep on applying to any place you'd like to work at. some hospitals have open house type of events. go to those. you could make a physical visit to their H.R. office or find the number of the department secretary and call to inquire. you could use recruiters too if you want. they are like real estate agents, you'll have to pay them a fee. Network with your old classmates and ask if they know about any positions in their hospitals. an employee referral may go a long way. Folks, I never said OP did anything wrong. I just call it like I see it and waiting until after licensing to even start looking for jobs DOES delay your starting time to work....which means more time you aren't being a PA. The math doesn't lie. Plenty of experienced EMEd PAs on this site would suggest a residency to ANYONE looking to get into an ED. It's not a bad suggestion. 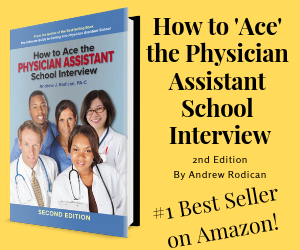 It's simply another option and one that may be more attainable to someone with no PA experience looking to get into a pretty competitive field. Plenty of experienced EMEd PA's on this site would suggest a residency to ANYONE looking to get into an ED. It's not a bad suggestion. It's simply another option and one that may be more attainable to someone with no PA experience looking to get into a pretty competitive field. somewhat related question - in your opinion, at what point is being unemployed after graduation going to make us unhireable? There's no hard and fast rule on time out of school without a job precluding employment. I would expect some serious questions on the part of interviewers though. Be prepared to answer how you've managed to keep UTD on your clinical knowledge and skills.